CC-11. Continental Currency. November 29, 1775. $1. PMG Choice Very Fine 35. Marshall, Michigan. Calhoun County Bank. 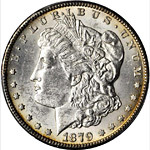 1837-38 $50. Extremely Fine 40. Austin, Texas. Republic of Texas. 1839-41 $1. PMG Very Fine 25 Net. Ink Burn, Toned. Austin, Texas. Republic of Texas. 1839-41 $2. PMG Very Fine 25 Net. Cut Cancelled, Ink Burn. Austin, Texas. Republic of Texas. 1839-41. $3. PMG Very Fine 30. Austin, Texas. Republic of Texas. 1839-41. $10. PMG Very Fine 20. Austin, Texas. Republic of Texas. 1839-41. $20. PMG Very Fine 20. Fr. 60*. 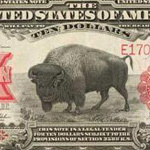 1917 $2 Legal Tender Star Note. PCGS Currency Extremely Fine 45 PPQ. Fr. 224. 1896 $1 Silver Certificate. PMG Very Fine 25. Fr. 237. 1923 $1 Silver Certificate. PCGS Currency Very Choice New 64 PPQ. Fr. 721. 1918 $1 Federal Reserve Bank Note. Richmond. PMG Gem Uncirculated 65 EPQ. Fr. 834a. 1914 $5 Federal Reserve Note. Philadelphia. Fine. Fr. 1038. 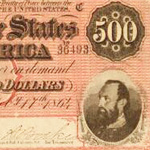 1914 $50 Federal Reserve Note. Cleveland. PMG Choice Very Fine 35. Fr. 1172. 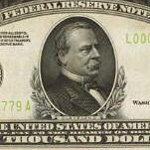 1907 $10 Gold Certificate. PCGS Currency Extremely Fine 45 PPQ. Fr. 1173. 1922 $10 Gold Certificate. PCGS Currency Extremely Fine 45 PPQ. Fr. 1173*. 1922 $10 Gold Certificate Star Note. PCGS Currency Extremely Fine 45. Fr. 1173am. 1922 Mule $10 Gold Certificate. 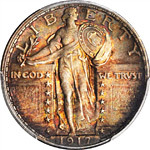 PCGS Currency Extremely Fine 45.